Lehmicke Construction is a premiere concrete contractor in Stillwater, MN with over 35 years of experience. 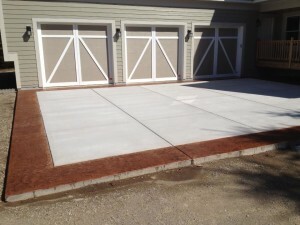 Specializing in stamped and decorative concrete, concrete patios, concrete driveways, and much more, each concrete project is designed with professional crews and the latest equipment and techniques. Lehmicke construction has installed 100’s of concrete projects in Stillwater, MN. If you have a project in Stillwater or the surrounding area, we are the first Concrete Contractor you should call for a free estimate and inspection. You can count on us for fair prices and honest answers! We have used Lehmicke Construction for several projects. The latest project was a patio, walkway & fire pit. It turned out beautiful and really enhanced our backyard. Lehmicke Construction is a professional and quality concrete installation company. We refer our family and friends to Lehmicke Construction.